The last portion of Conde Nast’s old space at 4 Times Square will soon be home to a trading floor. The Durst Organization announced on Wednesday that BMO Capital Markets, the investment banking subsidiary of the Bank of Montreal, has signed a 15-year, 215,000-square foot lease at 4 Times Square, in the largest office leasing deal so far this year. The ninth floor, once occupied by Condé Nast, will be used as a trading floor with room for 400 people. Sources told The Real Deal that this “basically closes out all of Conde’s space” at the building. Additionally, BMO will be taking up the 29th through 33rd floors of the building, currently occupied by the law firm Skadden, Arps, Slate, Meagher & Flom. BMO will move into that space in the third quarter of 2020. 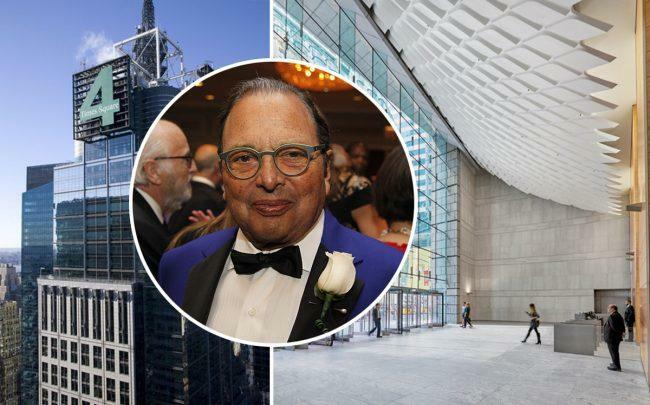 Conde Nast’s old lease at 4 Times Square was set to expire this month, with the Port Authority of New York and New Jersey agreeing to cover the costs in order to move the media company downtown to One World Trade Center. BMO’s new neighbors will include stock exchange company Nasdaq, which moved its headquarters to the building last year, and fintech firm SS&C, which extended its lease by 31,000 square feet in January. BMO was represented by a Colliers team of Joseph Cabrera, David Glassman, Timothy Kuhn and Brendan Cavender.